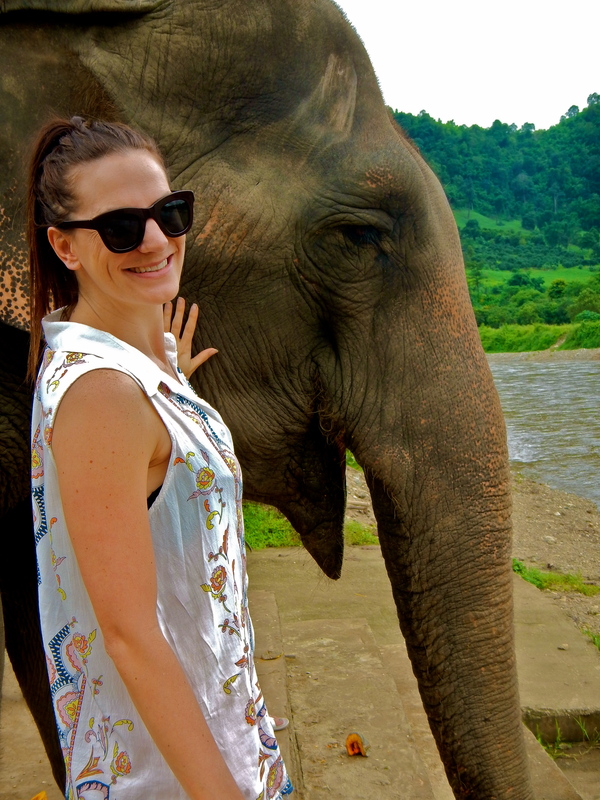 Not just another Elephant Trek in Thailand! It would be almost unheard of to come to Thailand and not have at least 1 interactive experience with an Elephant, but Swanny and I wanted to choose wisely. Elephants fascinate me and I’d ridden Elephants in Phuket previously, and to be honest I didn’t love it. 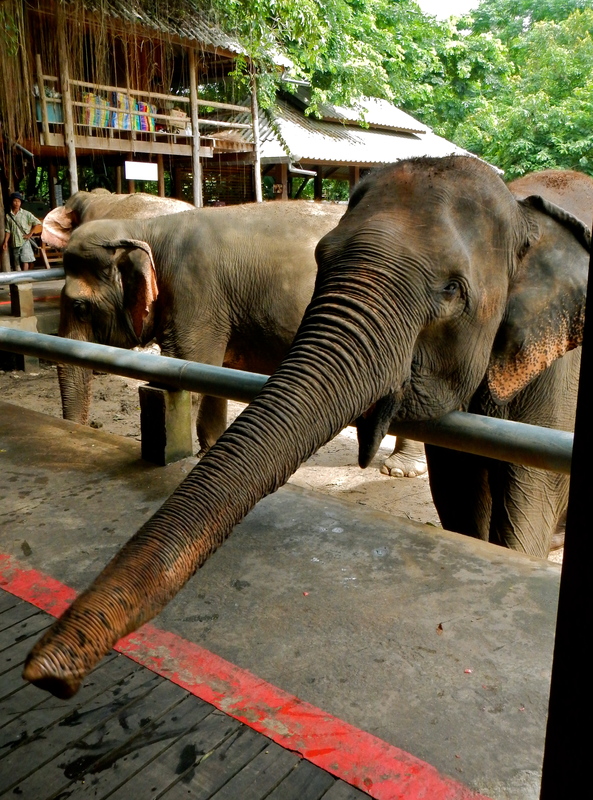 I’d since read about safari parks and trekking companies in Thailand mistreating their Elephants, so after a hot tip from a friend of Swan’s we came across the Elephant Nature Park, Chiang Mai. 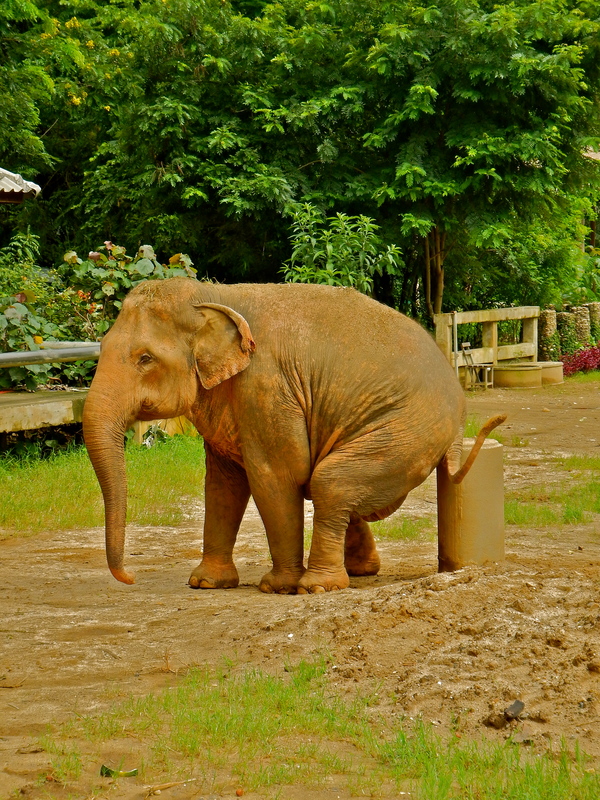 It’s a unique sanctuary for Asian Elephants in Northern Thailand, and was founded in 1992 by an award-winning conservationist ‘Lek’, by rescuing injured and mistreated Elephants. With the Asian Elephant numbers dropping from over 100,000 last century to just 3000 today, we thought this would be the perfect opportunity to see the Elephants up close, and also do our part to support a great cause. As we purchased the tickets for our full day at the park, the sales assistant kept saying ‘no riding’,’ no riding’! We assured her that we didn’t want to ride the Elephants and that we understood what their park was about. I’m assuming they are more used to travelers wanting their ½ hr ride on an Elephants back and a cool photo. Arriving at the park, Lek’s passion for rescuing, rehabilitating and conserving the Asian Elephant is evident. The park is HUGE and with over 30 Elephants in her care, it isn’t long until we are eye to eye with them. (Well, almost!). Hand feeding an 80yr old Elephant is a pretty special moment, although their trunks are kind of freaky and seem to have a mind of their own. 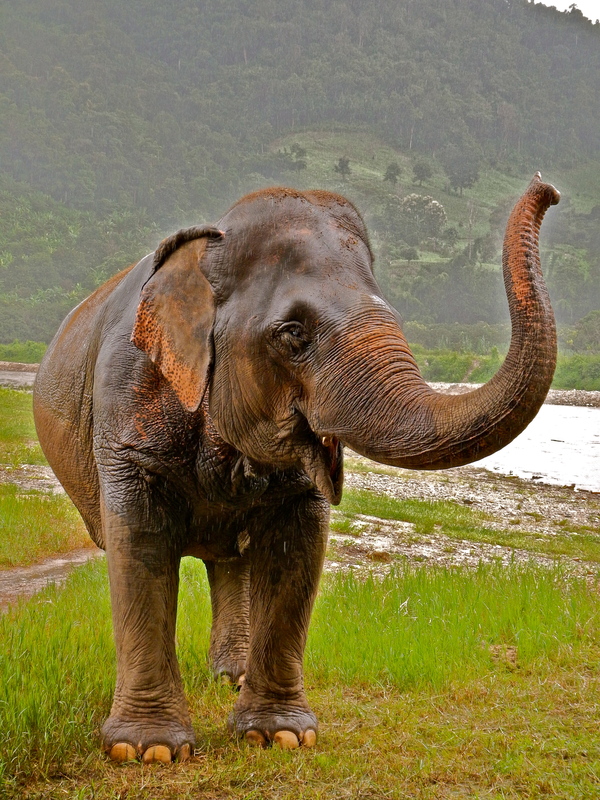 Each of the rescued Elephants has their story about why they we’re rescued. Like ‘Hope’ the orphaned baby Elephant who was bottle-fed and nursed back to health after being rescued from a trekking camp after his Mum passed away. Hope is now a teenager and still so naughty that he’s the only Elephant in the sanctuary who has to wear a bell, to keep tabs on his whereabouts! Some of the rescue stories move you to tears. Overworked, Underfed, and tortured until they become submissive… The treatment of some of these poor creatures is horrendous, so I’m thankful that a sanctuary like this exists. 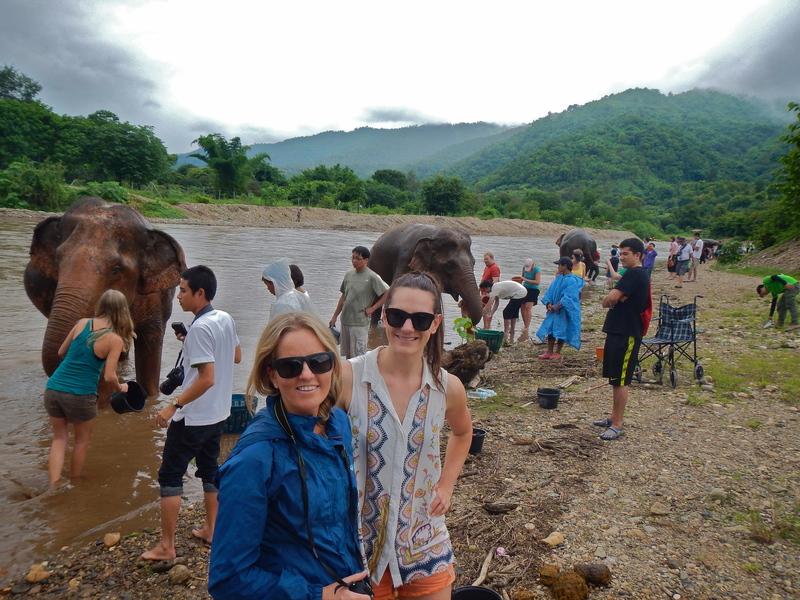 After a traditional Thai lunch we are back out in the field, walking with the Elephants. We learned about the small herds that had formed within the park, something that nature denied these guys when they we’re put to work for logging and trekking companies before arriving at their new home. 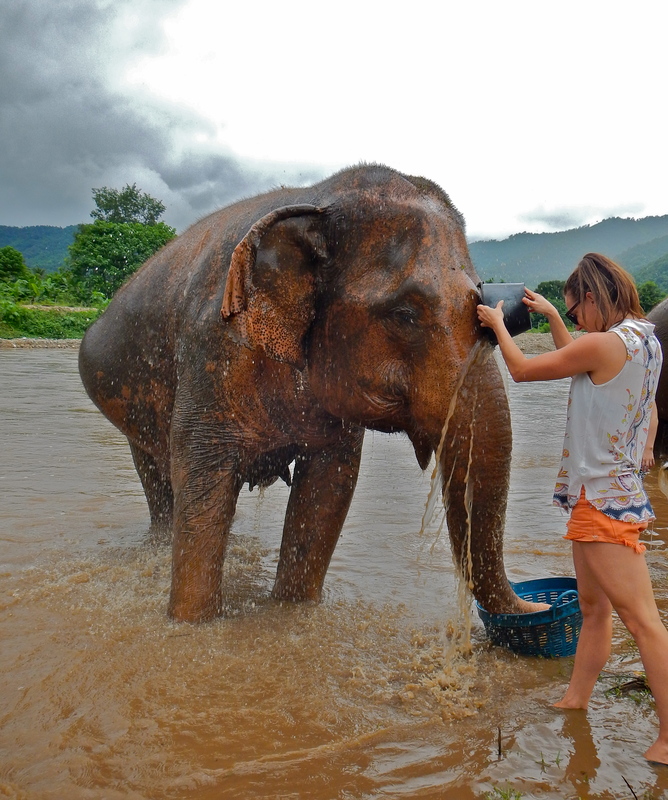 We then had an opportunity to bathe the Elephants in the river, which was as hands on as you can get. Feeling their rough skin under your finger tips, and watching them frolic in the water with the other volunteers, is an experience that riding an Elephant in a trekking camp just won’t give you, and something I’ll remember for a long long time. Don’t get me wrong…. 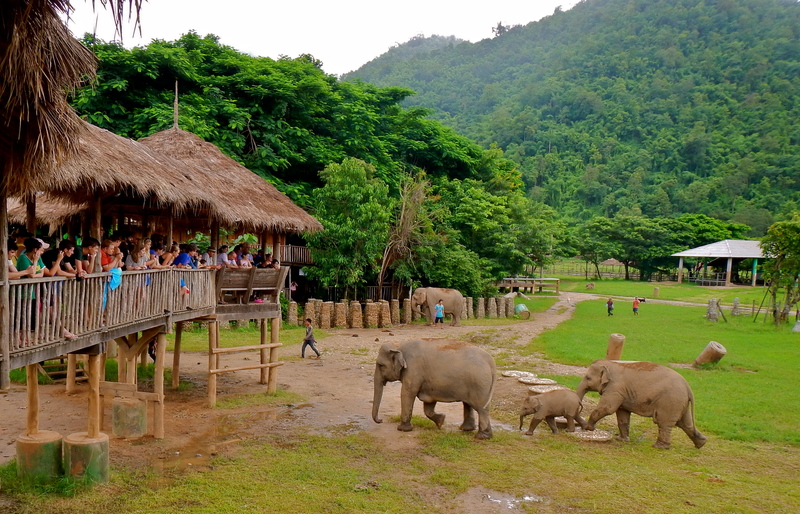 Not all of the trekking companies on Thailand mistreat their Elephants, but if you want a unique Elephant encounter and wish to know that the money you’re spending is going to a great cause then I recommend a visit to the Elephant Nature Park. I can honestly say that when you look in these Elephants eyes, they are happy. Going to Chiang Mai? How you can help! You can spend a day at the park like we did or you can do an overnight stay to learn even more. The park runs mostly off volunteers so run weeklong volunteering programs, which would be pretty special if you have the time. 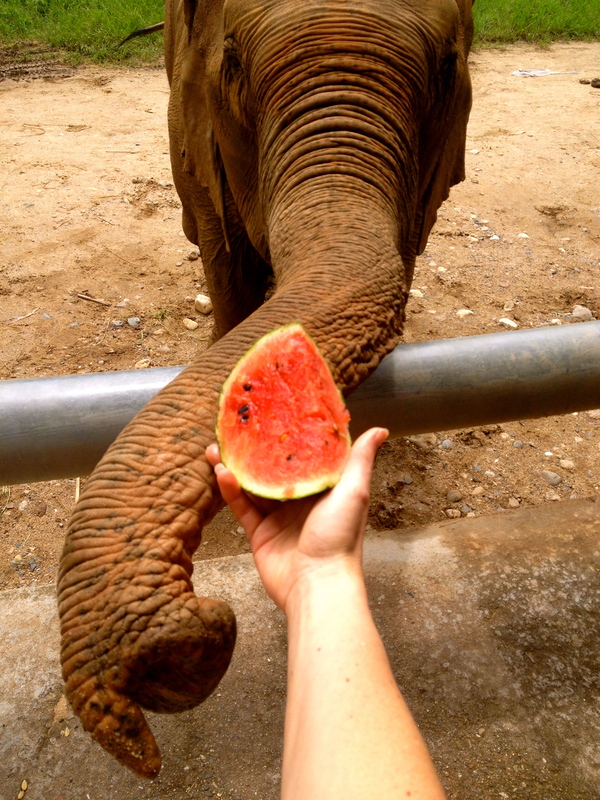 You can also foster an elephant or make a donation by visiting their site.